An 8 year-old Long Island girl has been kicked out of school, and the reason is outrageous. Ceili McNicholas was told not to return to Long Island’s Laddie A. Decker Sound Beach School after her mother Jamie refused to let her receive the T-Dap booster, which protects against tetanus, diphtheria and pertussis. The decision to skip the booster wasn’t solely Jamie’s idea – her daughter’s pediatrician won’t administer the shot because it is labeled for children ages 10 and over. Ceili is only 8. “If we give that T-Dap vaccination between 7 and 10, we are using it off label. And it’s not licensed for usage.. So if we can’t use it, then we are the ones going to be held liable,” Long Island pediatrician Dr. Mary Renna told CBS New York. Jamie said Ceili is among a small percentage of children who got all their vaccinations for pertussis, also known as whooping cough, under the age of 4. The state recently changed their immunization regulations, and now they are requiring a booster shot for those kids. “I got a call from the school in September saying she needed another vaccine in order to be compliant with this new regulation,” Jamie said. Doctors interviewed by CBS pointed out a conflict between government agencies: The FDA approves the T-Dap booster for ages 10 and over, but the state follows CDC guidelines, which recommends the booster for ages 7 through 10. Jamie received a letter from the school that said Ceili would not be allowed to return until she had the booster. Monday, November 17, was her deadline. “We put her on the bus as usual,” Jamie said. But Ceili was then told her mom would have to pick her up, CBS reported. “The assistant principal took me to the parking lot and took me to the car,” Ceili said. So, the school district said it is following state education guidelines. The New York State Education Department said it is following the guidelines of state health officials. And…the state Health Department said it’s decisions are based on CDC recommendations. And should we really trust the CDC, anyway? “The only way that she will be back in school before age 10 is if the state makes an exception for my daughter and the other kids that are faced with the same situation, because I’m not getting her that shot. Jamie has begun to homeschool Ceili and has started an online petition to get her daughter back into school. She said her daughter misses school and her teacher. 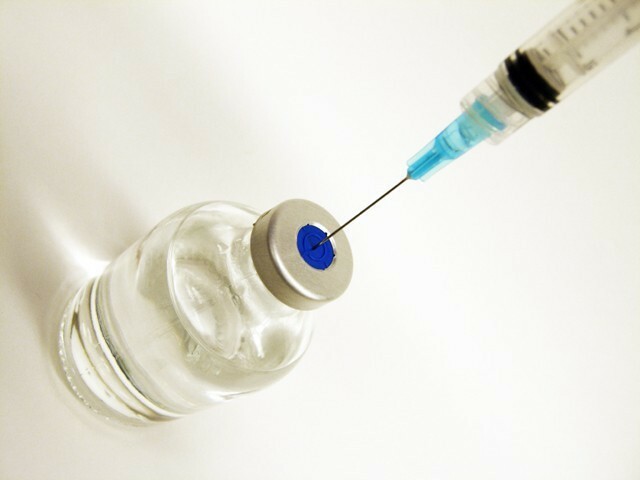 (2) If a New York State licensed physician certifies that such immunization may be detrimental to the child’s health. If you are seeking a medical exemption, you must provide a letter from a New York State licensed physician certifying that one or more of the required immunizations are detrimental to your child’s health. The letter should specify which immunizations may be harmful to your child and for how long the immunization(s) would be detrimental. Your school will forward documentation in support of a medical exemption to the Department of Health and Mental Hygiene for review. Perhaps it is time for the parents of impacted children to start exploring those options, or opt to homeschool like Jamie.